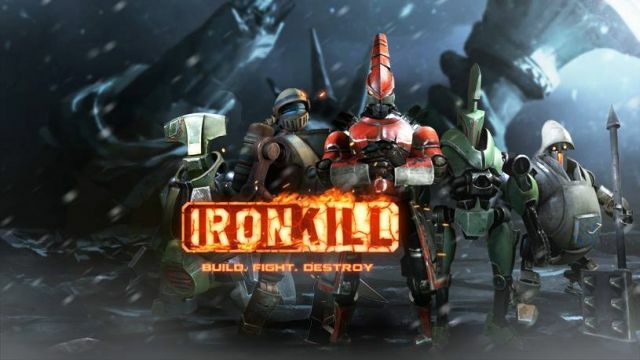 Play Motion, a new studio formed by the team leads of Total Recall and the critically acclaimed hit Real Steel: World Robot Boxing, announced today that its new robot fighting game, Ironkill, has launched for iPhone, iPad, and Android and is available on the iTunes App Store and Google Play Store. In Ironkill, players will build, fight and destroy robots as they battle for dominance against the current champions. It’s survival of the fittest in a sport where the best steel and strongest fighting skills win—get ready to join the fray! In the near future world of Ironkill, cybernetics have unleashed an incredibly violent new form of combat on the world. To succeed, players will customize and level up robots as they fight a succession of ever-tougher matches against mechanical opponents from around the world in a quest for dominance. Brutal but intuitive button-mashing combat, a plethora of mechanical warriors with outsize personalities, and extensive options for research, customization and leveling up all come together to set the new standard for robot fighting. As Ironkill begins, a devastated world has been rebuilt by robot workers from three factions—Greater Asia, African Union, and the Americas. However, the bulk of the surviving population lives in massive slums. The only way to escape is to become an elite champion in robot vs. robot Ironkill fighting leagues that are popular the world over. Smash or be smashed in a global struggle as robot warriors from opposing factions do battle in stunning outdoor arenas. Each faction has strengths and weakness versus other factions, and this can be the difference in a close fight. Starting with an initial robot, Sumoist from Greater Asia, players will amass a team of up to 12 devastating warriors. Each robot can be leveled up and strengthened, and players can also research technology to improve their bots. Ironkill combatants will earn soft and hard in-game currency to buy new robots and upgrades by winning matches and completing Achievements. As they level up, players can unlock and purchase ever more powerful fighters—which they will need to beat the ever stronger competition encountered as they move up through the world map fight by fight to take on champions like Solidus, Helina, and Zang. Get ready for the ultimate robot rumble! Play Motion will support Ironkill post-launch with additional updates including new robots to give players continuing excitement and new offerings. Blood Bowl II marks off the second of their four planned bonus teams today, with the Undead Hordes spilling onto the field. Phantom Breaker is a rather obscure title that was originally a fighting game. The BISBOG Group just announced a stellar new gameplay element in its free-to-play science fiction MMOG, Astro Lords: Oort Cloud.